Founded by Taekyung Kim, or ‘T.K.’ as he is known, Amazing has become one of the most popular craft breweries in Korea. T.K managed to find an uncannily well-named locale for his HQ and original brewpub in the neighbourhood Seongsu, which means ‘holy water’ in Korean. Now with a bar in Jamsil near the Lotte Tower, Asia’s tallest building and also in Incheon, a city an hour west of Seoul, the company is expanding rapidly. But not without care for quality and a passion for educating the Korean population about craft beer. Running regular workshops at the Amazing Academy, both for the public and for those training for its Cicerone qualifications, the brewery has helped raise the understanding of beer in Korea quite considerably. We decide to head over to its brewpub in Seongsu for a chance to taste our way through the range. The former shoe-making district has become an ‘it’ place in town, its warehouses converted into coffee shops and art galleries. Interesting boutiques have popped up around every corner and there’s even an adult ball pit called ‘Urban Source’. Amazing’s original brewpub brews and sells beer from inside a renovated wooden building that dates back to 1959. With almost 60 taps offering its core range, as well as specials and guest beers, it’s a great place to while away an evening. It also offers a range of bar food to complement the beers, such as Brussels sprouts with balsamic vinegar, onion and bacon pieces. Amazing’s hand-drawn icons, representing each beer on the menu boards behind the bar, are heavily-instagrammed, as are the photo-albums customised into beer menus. With images representing each beer hand-drawn by members of staff, what’s currently pouring is slotted into place. This was apparently partly inspired by the famous business card-holder menu of Craftheads in Shibuya, Tokyo. We enjoy a tasting flight which includes ‘First Love’, its 6.5% New England IPA. With distinctive flavours of tropical juice from new world hops, low bitterness and a hazy appearance, it is a great example of the style. One of the beers featured in this month’s box and named after the neighbourhood, Seongsu-dong is light and refreshing. Brewed with members of the local community at the ‘Seongdong Beer Event’, it is a particular favourite among drinkers at the bar. The topic of North Korean relations has inspired the name of one of the beers, ‘Rocket Man’, the labels and poster for which feature Kim Jong Un enjoying a beer with his new-found friend, Donald Trump. Coming in at 8.5% it is rocket fuel itself, in the form of a warming Belgian quadruple. Having a beer with us is brewing director Kwanyoul Kim, who explains they had some ideas to use North Korean hops, which are reportedly very good quality, but this proved challenging. Kwan previously worked at South Korea’s Galmegi brewing, before going to Germany to study brewing in Berlin. He explains that, as well as expanding the number of Amazing locations in and around Seoul, the brewery has also partnered with Brewdog to open a brewpub in Itaewon, which has acted as a sort of testbed for the Scottish brewer’s expansion elsewhere in Asia. T.K and Kwan are now excited to construct a purpose-built production brewery for Amazing near Seoul in early 2019, the first of its kind in the country, using Krones equipment from Germany. For now, its range is focussed on a set of six core recipes that have proven popular already in its brewpubs, along with an evolving seasonal offering. Since its new brewery will be located in a region famous for Korean rice and a special variety of berry, T.K. also has dreams of creating a ‘Korean ingredients series’ to experiment with some of this local produce. 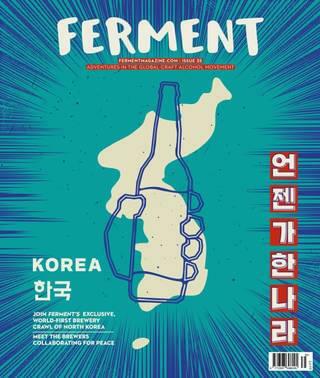 A challenge for all Korean brewers is the comparatively restrictive alcohol laws here, which are not as kind on small brewers as they are in the UK, for example. 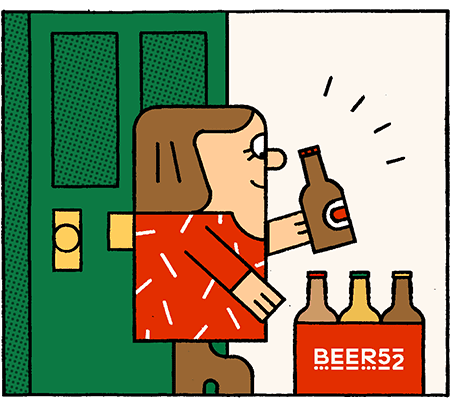 “If I could change one thing,” Kwan explains, “I would remove the rule which says that beer can only contain a maximum of 20% of ingredients other than malt”. This rule makes it difficult to experiment freely with adding fruits or other adjuncts to recipes. Despite some restrictions, Kwan and the rest of the team at Amazing have been able to experiment with a wide variety of styles and ingredients, and its ever-changing list of specials is testament to this.